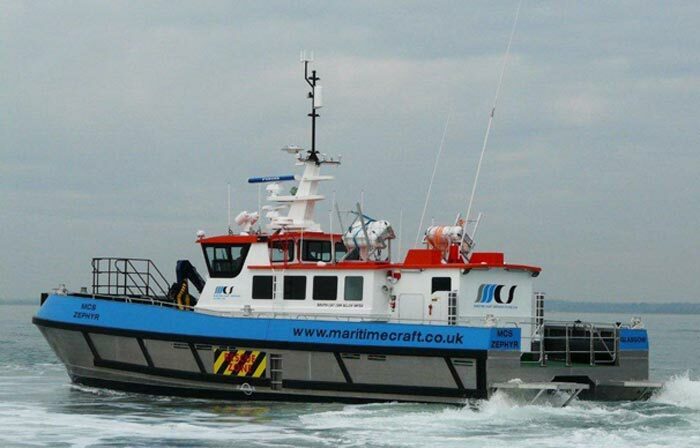 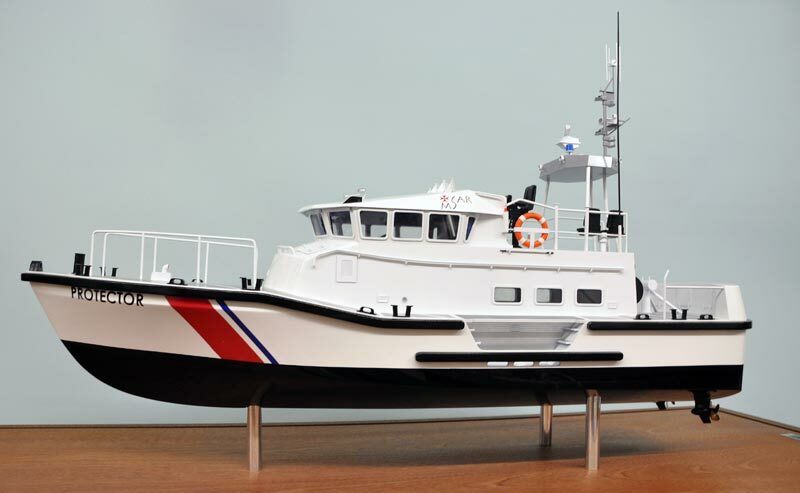 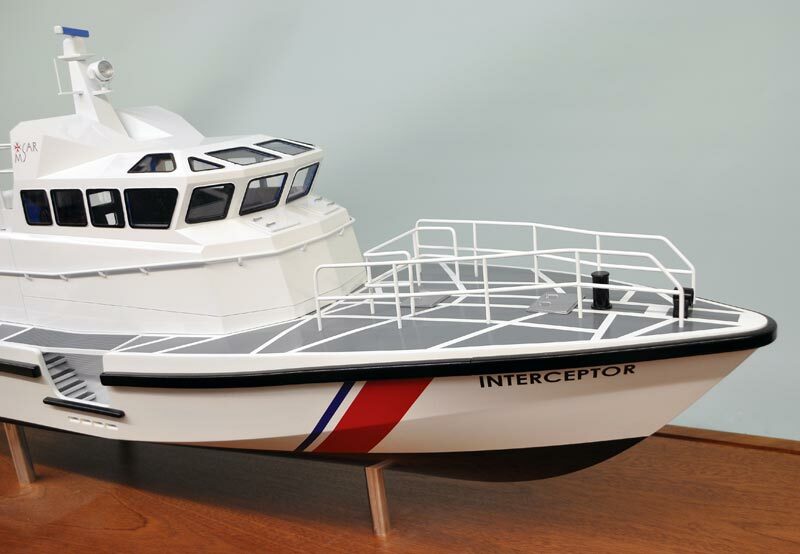 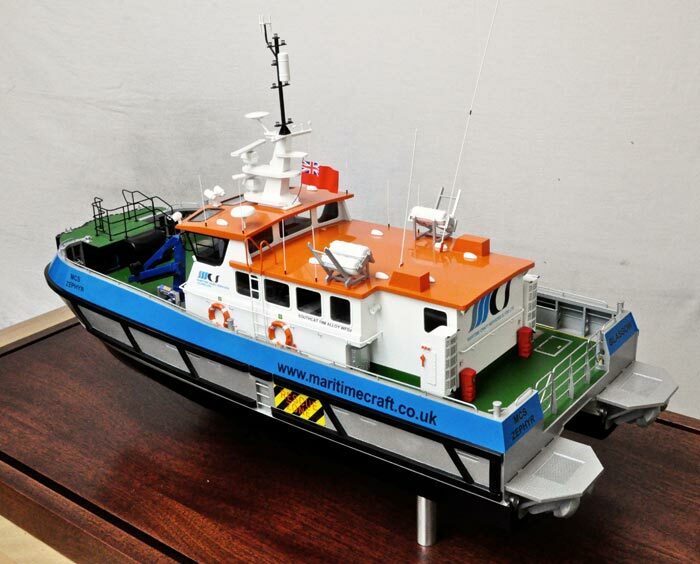 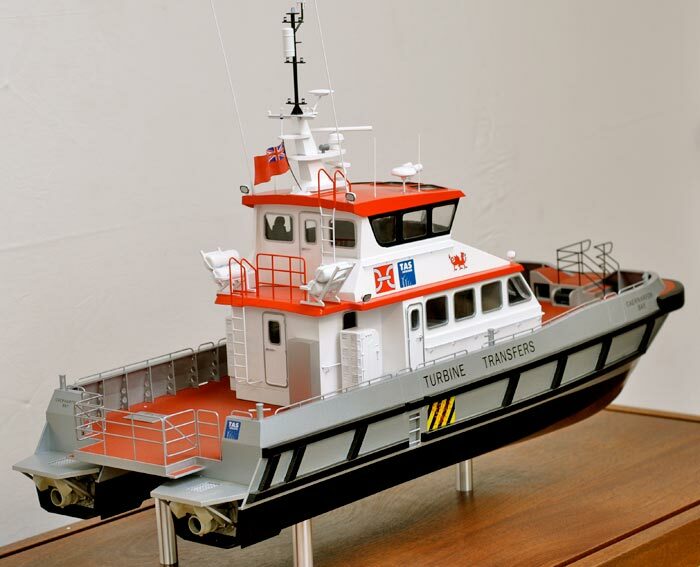 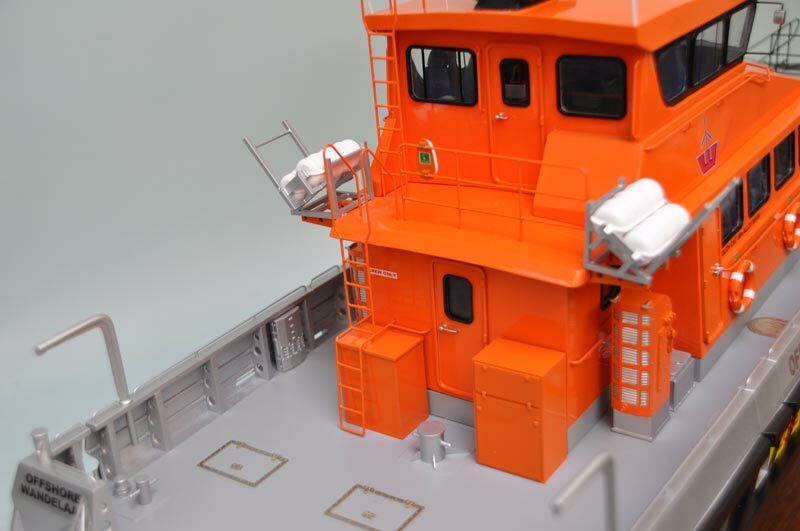 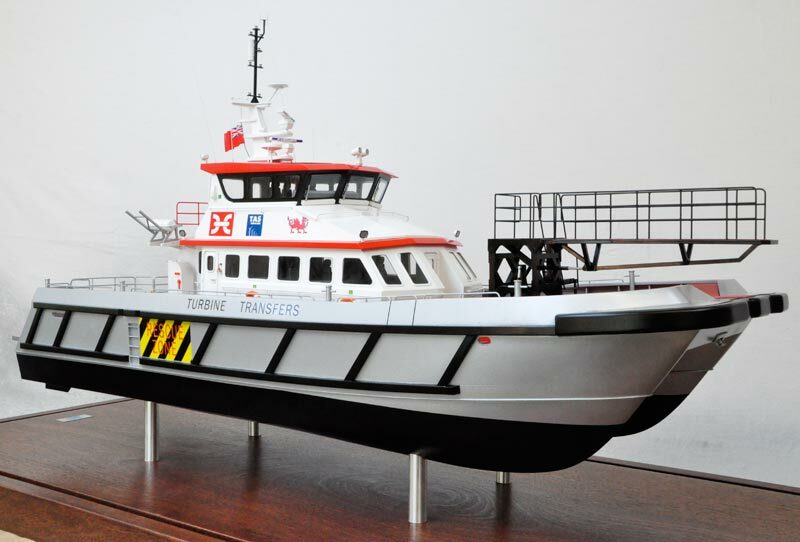 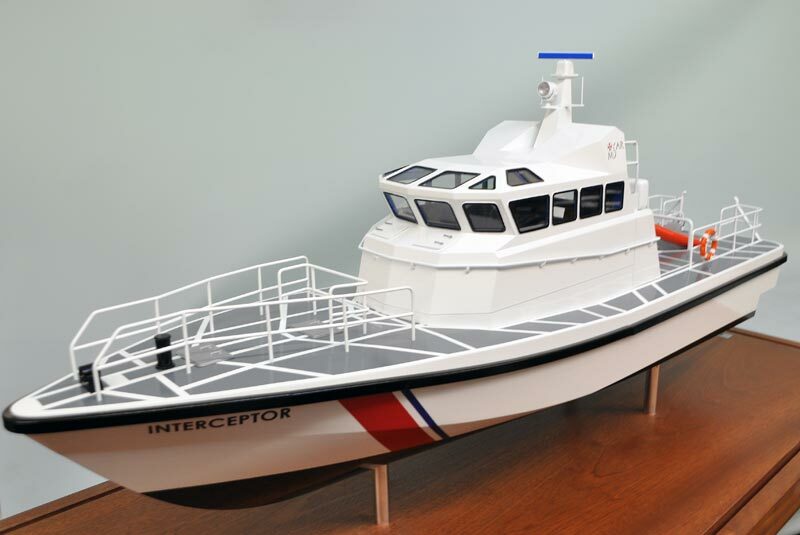 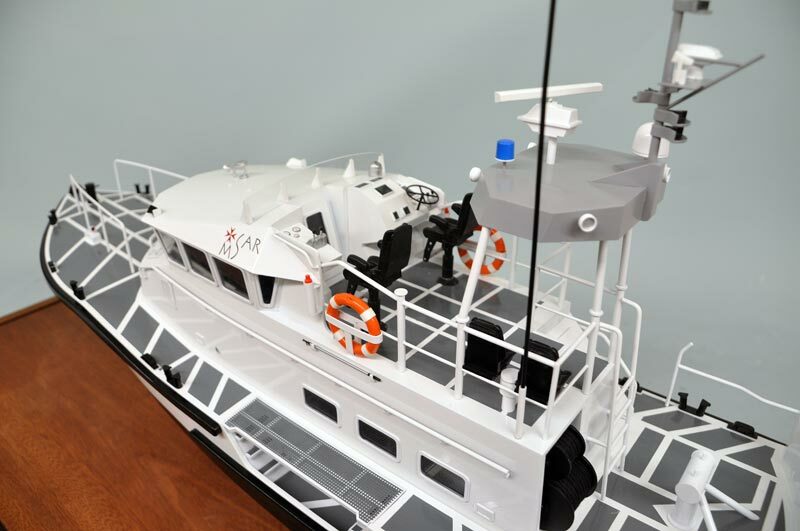 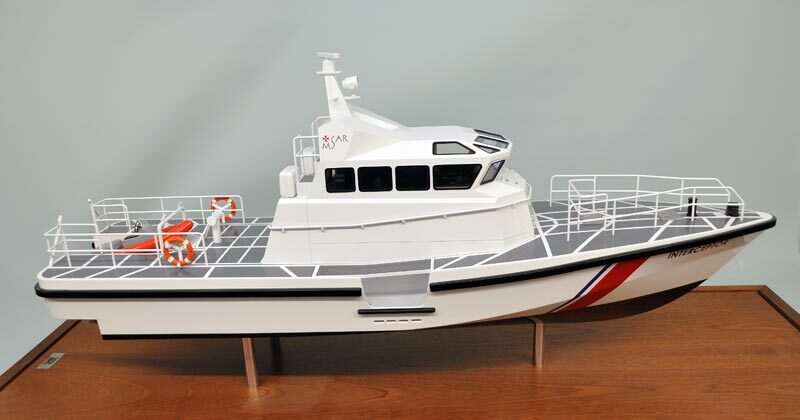 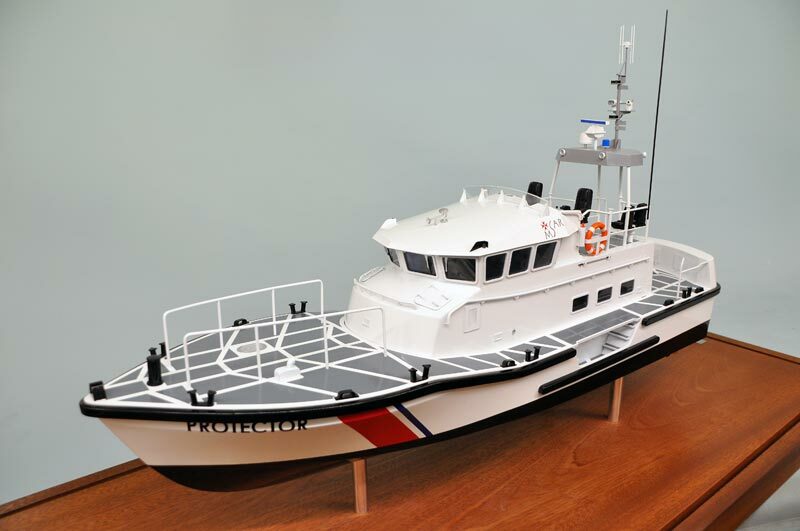 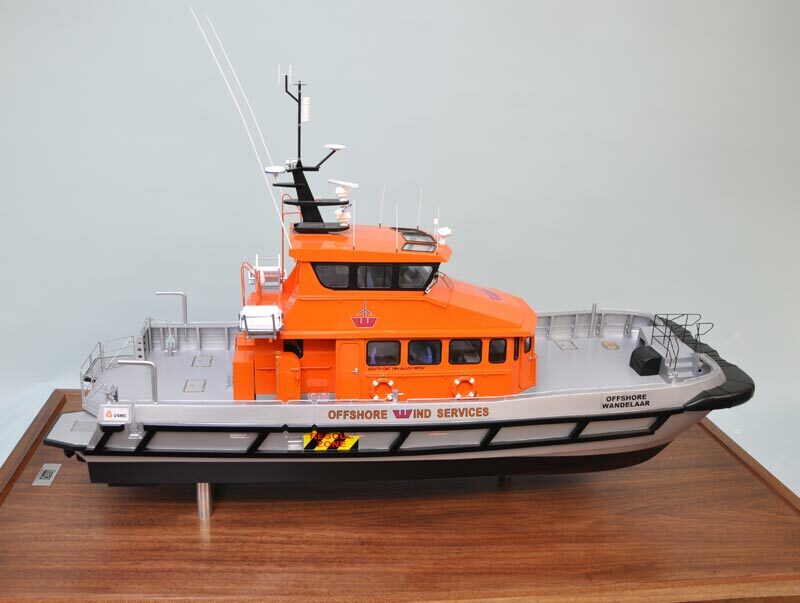 Marine Model making covers a wide range of vessels from enormous utility ships down to small working boats such as yachts, tug boats, patrol & rescue vessels and offshore wind farm support vessels. 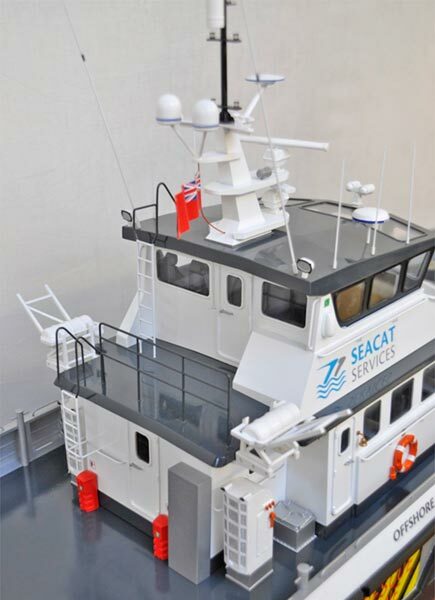 Regardless of size and scale all of our boat and ship models are built to the highest standards of build quality and finish. 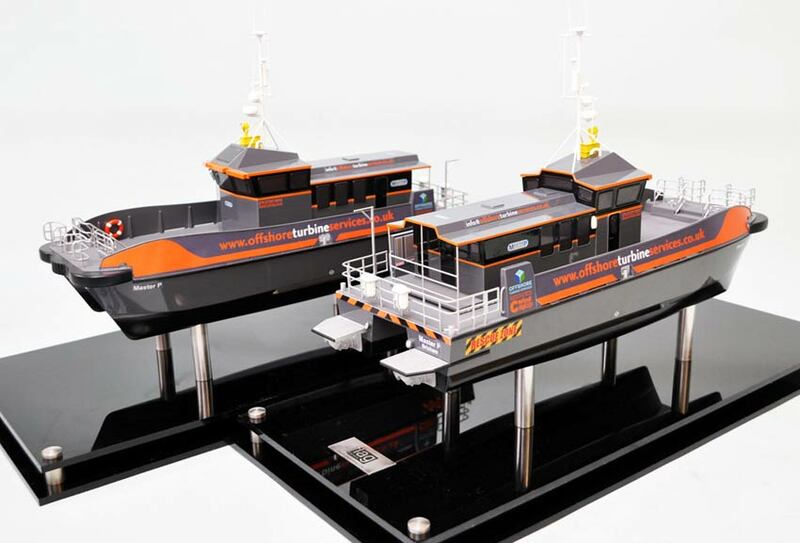 Our boat models are displayed globally in offices and boardrooms, trade shows and exhibitions. 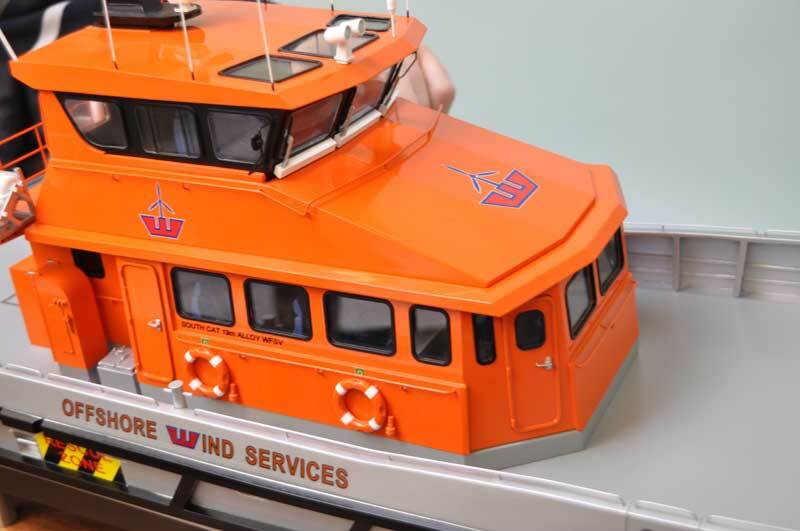 Our boat models are often commissions by boat yards, marine businesses, museums or private owners to display as a focal point to draw attention and compliments. 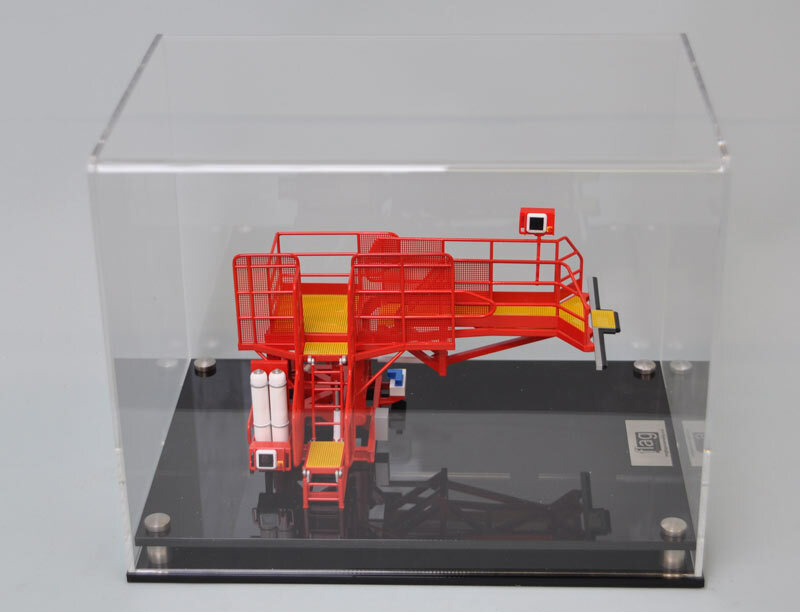 A scale model at an exhibition will draw the attention of potential buyers and investors more than any number of images or CAD displays. 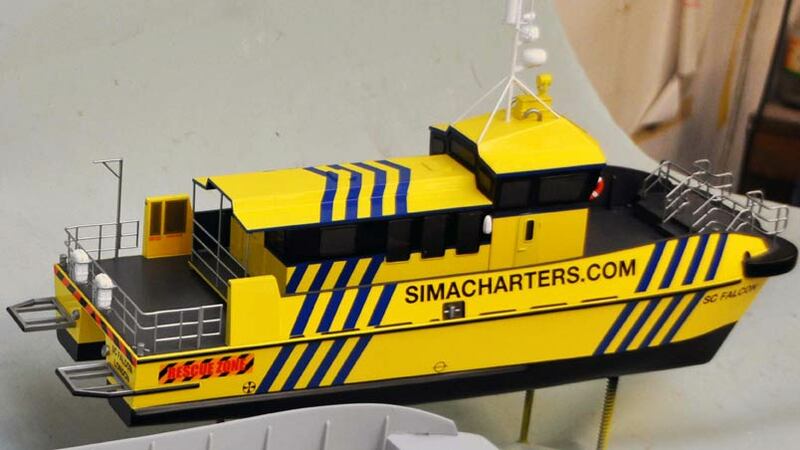 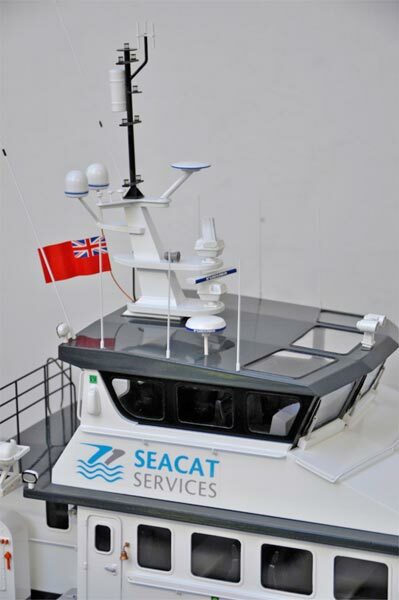 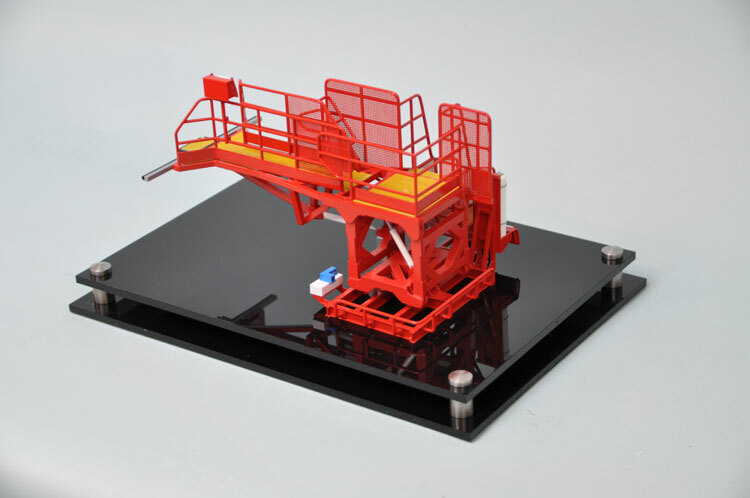 Our scale models have been known to aid in the construction of the full-size boat, highlighting issues which have not been recognised in the CAD processes. 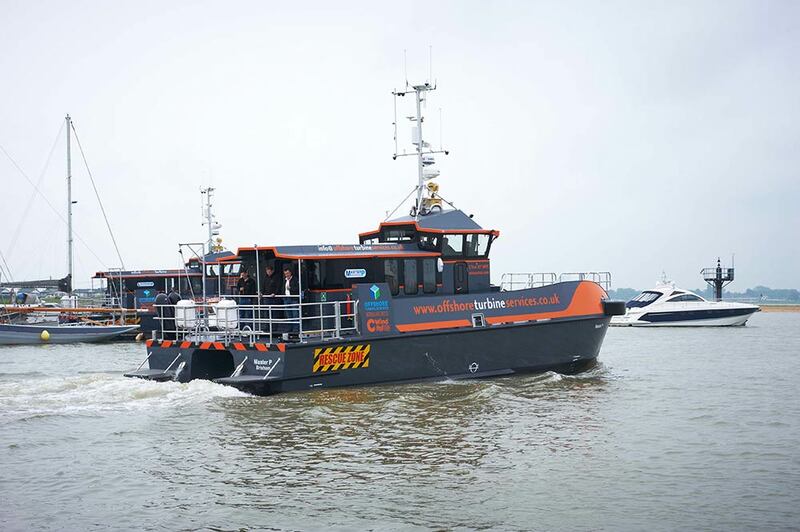 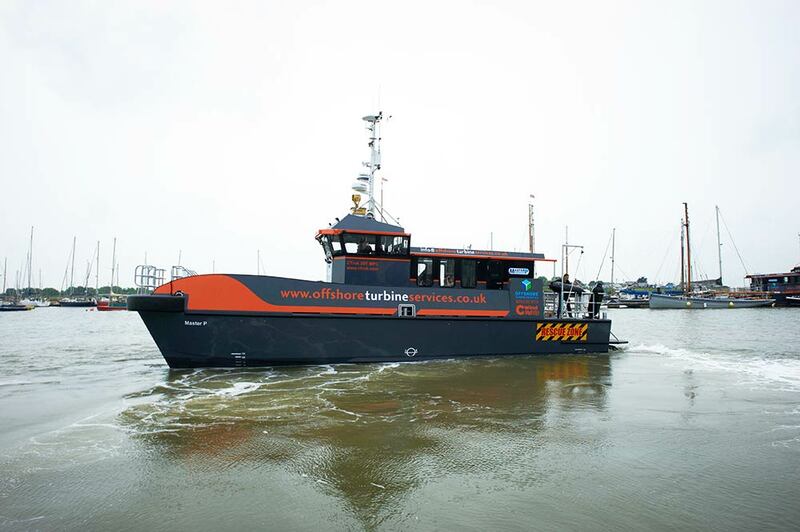 CTruk specialises in the design and construction of cost-effective offshore wind farm support vessels. 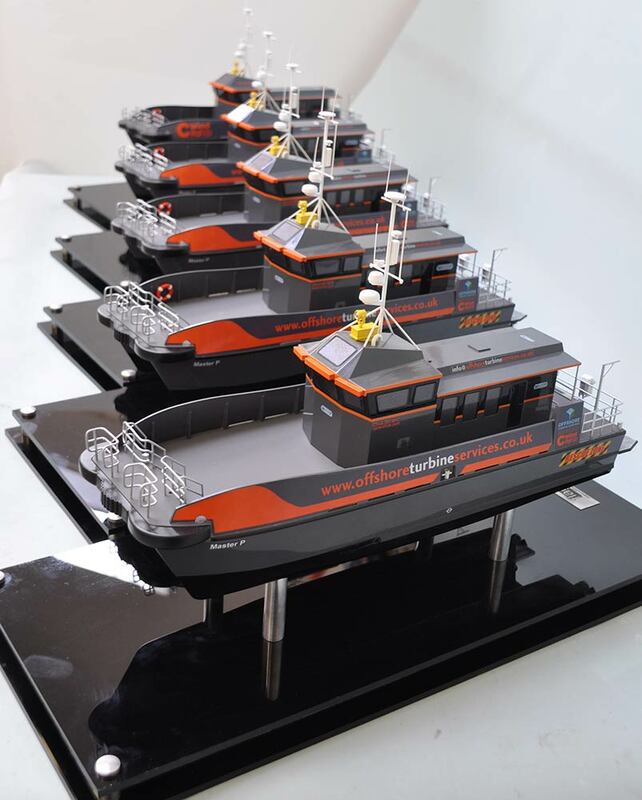 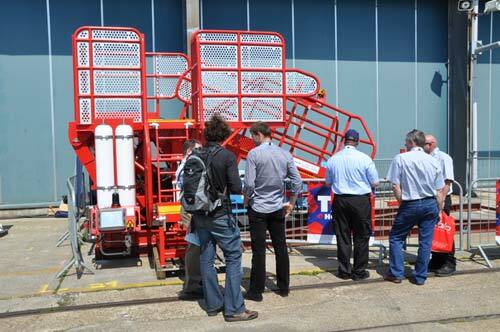 At 1:50 this range of six models were a cost-effective solution for the client. 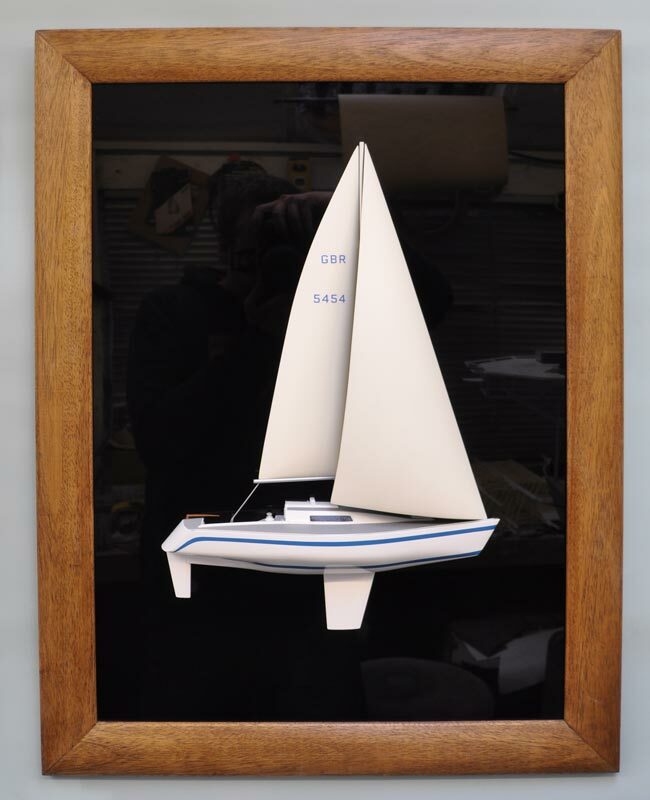 A family commissioned a model of their racing yacht, traditionally these half models don't have sails but this one is complete with sails by request. 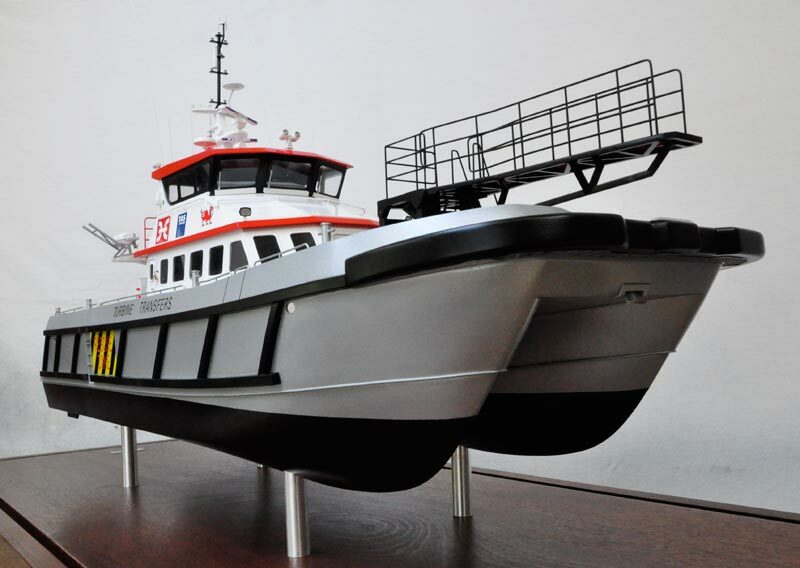 Sometimes a company might require a model of a concept vessel for exhibition purposes either to generate finance or to sell to potential customers. 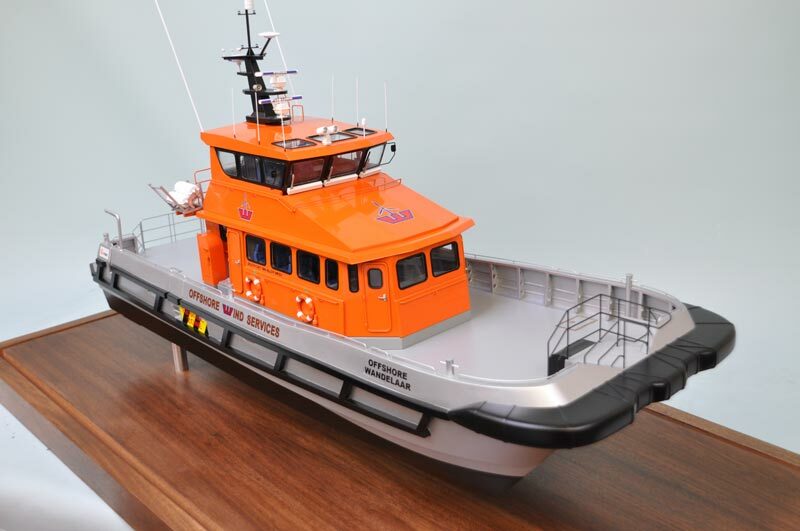 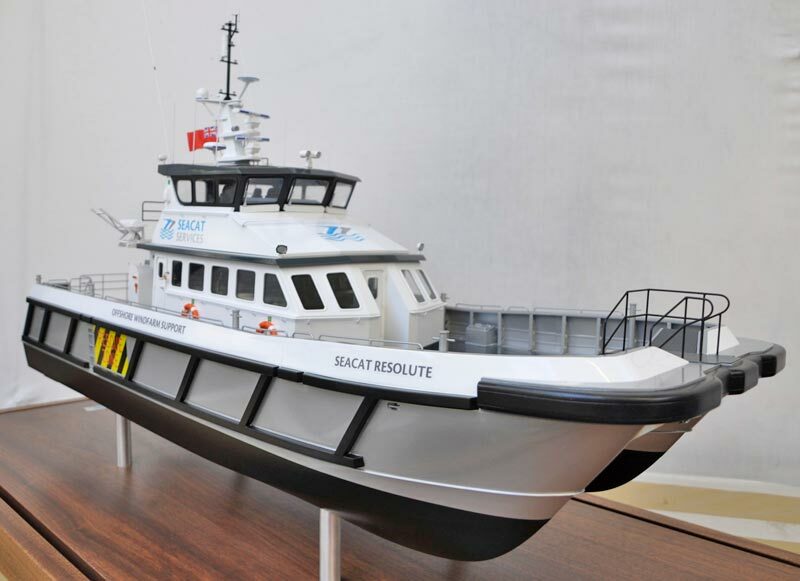 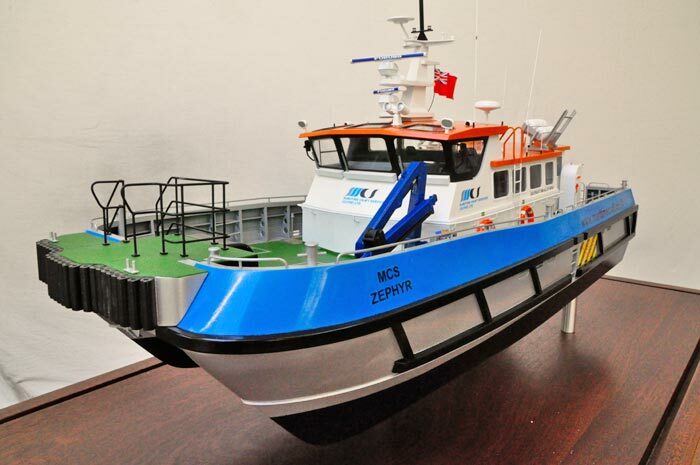 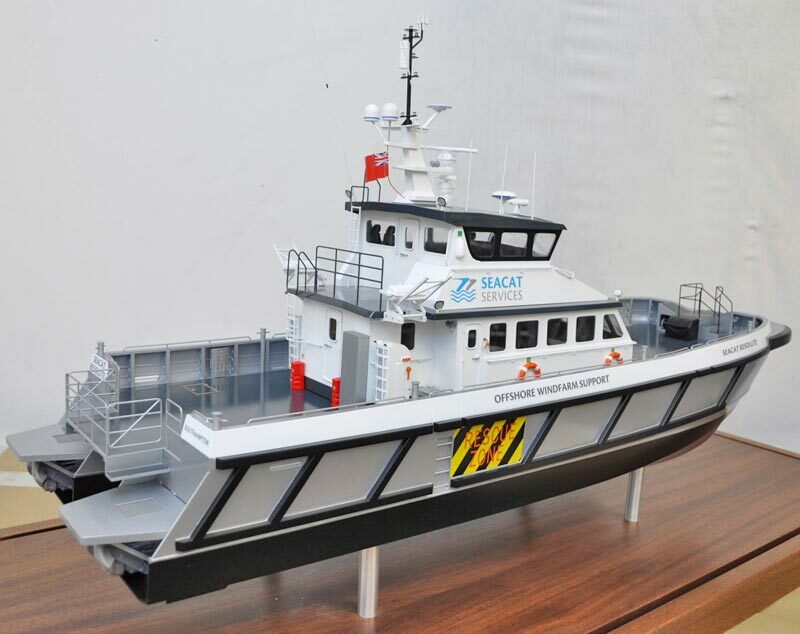 Flag Model Making have made several models of offshore wind farm support vessels of various scales and to suit varying budgets. 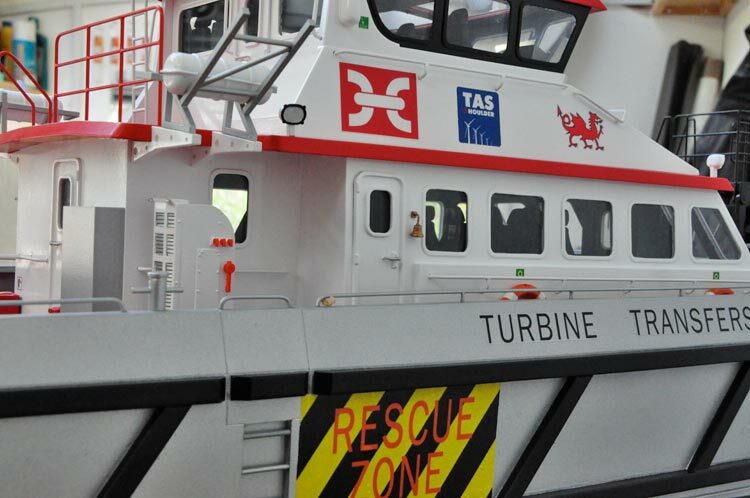 A TAS system allows safe transfer between an offshore wind farm support vessel and a wind turbine by reacting to motions of pitch, heave and roll.